Piers Morgan's world exclusive interview with President Donald Trump will air in full on ITV this Sunday night. Viewers of Good Morning Britain have already been shown a few snippets from the interview, which was recorded earlier this week in Davos, with Trump in Switzerland for the annual World Economic Forum. Morgan signs off by encouraging his followers to tune in for his 'hilarious response' on Sunday night. As you can probably guess, not all Arsenal fans were too keen on the idea of Trump being associated with their football club. I think we have enough problems at Arsenal dont you? 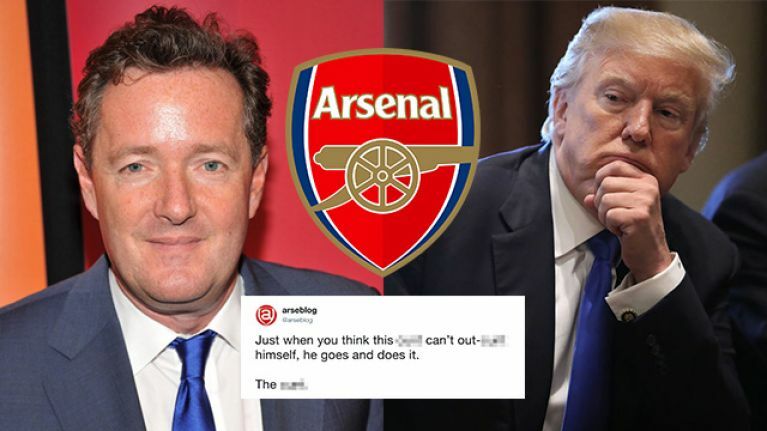 I’ve got like $700 worth of Arsenal ink done and I’d rather take a cheese grater to it than have Piers Morgan offering Trump the management position. 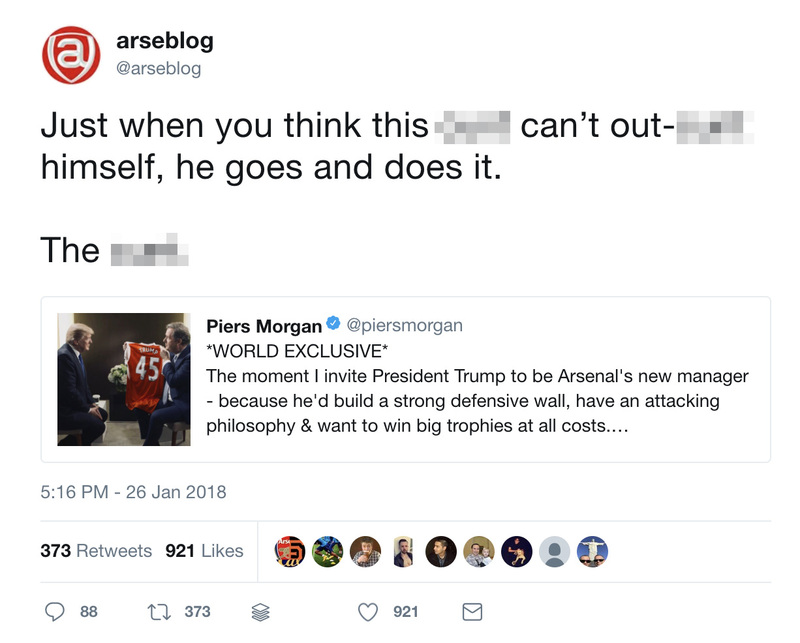 In a pretty crowded field, Piers Morgan proves again he’s the most embarrassing Arsenal fan ever. Arsenal doing terribly and ruining my life doesn’t make me want to stop supporting Arsenal. Piers Morgan being an Arsenal fan makes me want to stop supporting Arsenal. The douchecanoe. Can we ban Piers Morgan from the Arsenal. He is an embarrassment.